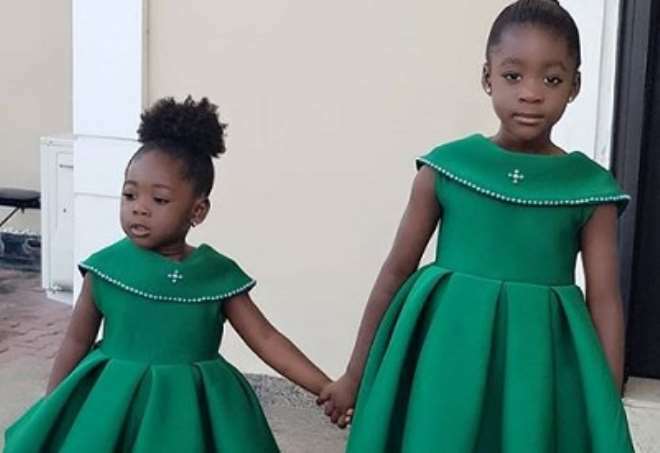 Nollywood actress, Mercy Johnson, might be having plans towards having her fourth child but she is not in a haste to get pregnant as she gushes each day over her three girls God has blessed her with. The actress is bent on being the best mother for her daughters and she is not stopping at ensuring that they come out the best in whatever they do. 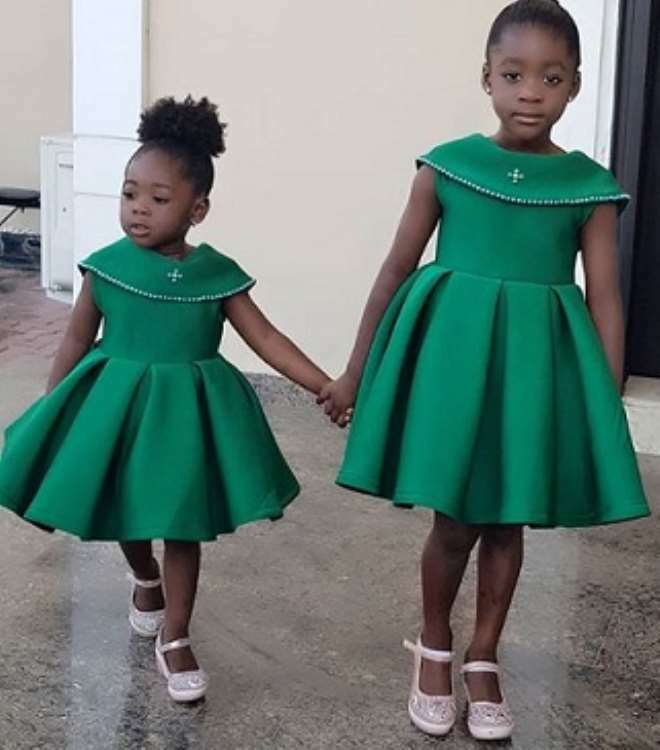 Mercy and her hubby could not hide how pretty their daughters, Angel and Purity, are as they stepped out in matching outfit.